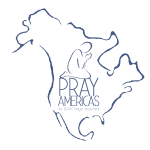 For the last seven months, the students at the Central Christian Academy (CCA) in Houston, Pa. have been praying for the children from one of SEAPC’s partner children’s homes in Pailin, Cambodia. To make the prayers more personal, the kids at CCA were each given the name and a photo of the child for whom they were praying. Recently, I got to attend an event called “Arise and Shine” which brought this season of prayer to an exciting culmination for all of the children. Central Christian Academy hosted this special event in their chapel, complete with a live video feed from Pailin so that the kids from both Cambodia and the USA were able to communicate with each other in real time. Excitement radiated as the children realized that they were actually able to see and talk with each other. They had a worship time together, with the Cambodian kids singing a couple of songs in their native language, and then the American kids doing the same. Finally, they sang one praise song in a united tongue, as the Cambodian kids knew the lyrics in English! What a foretaste of what heaven may be like! Next, there was a time of questions and answers. Kids from both sides of the globe prepared questions in advance to ask each other. What was really neat was watching as, during the Q&A session, one of the American kids was able to speak directly with the child he had been faithfully praying for. The little boy’s face absolutely glowed as he pointed to the child he saw on the screen, and then jumped up and down as he held up the picture of that same child! The on-air portion of the Arise and Shine event concluded with a time of prayer as each group of kids (Cambodian and American) prayed for each other. Witnessing the live video feed portion of the Arise and Shine event was enough to get the tear ducts flowing, but what happened at the very end of the event truly hit the mark. Not only were the children praying, but they were also putting legs to their prayers – literally! As part of a fundraiser a few months back, the students of Central Christian Academy held a walk-a-thon. They decided to put a portion of the fundraiser proceeds toward buying school supplies and uniforms for the kids living at children’s homes in Cambodia. At the end of the Arise and Shine event, the kids excitedly presented this generous check to SEAPC. It was wonderful to see firsthand how many impressionable young hearts were touched that day, but it is even more inspiring for me to think about all the future possibilities for the Kingdom of God that are being birthed by the power of prayer. Jeannie Fleming started working with SEAPC in 2014. She works with media relations for the communications department. Jeannie serves SEAPC on a daily basis through interfacing with the media to get coverage of SEAPC related events and projects. She also helps the SEAPC representatives to gain media coverage in each of their geographical areas. Additionally, she works with SEAPC international interns to help them improve their English language proficiency levels.